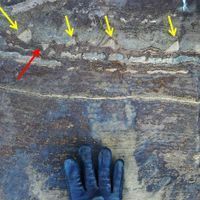 If the structures identified in a 2.1-billion-year-old rock are really signs of burrowing organisms, it would push back the earliest known mobile organisms by 1.5 billion years. 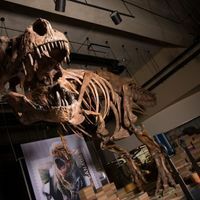 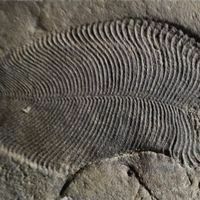 Fossils reveal the quick death of plants and animals from a massive surge of water after the impact 66 million years ago, which is thought to have spelled the demise of dinosaurs. 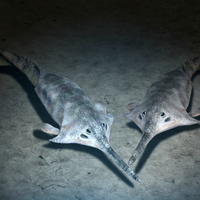 Galagadon’s tiny teeth look like the spaceships in its namesake video game from the early 1980s. 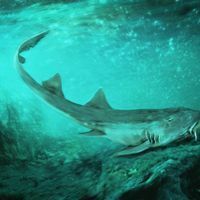 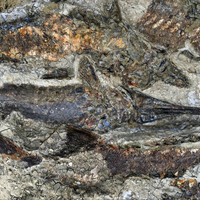 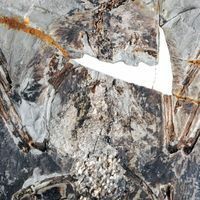 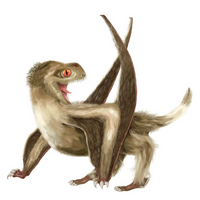 An analysis of organic material from 500-million-year-old fossils upholds the theory that the mysterious creatures were early forms of animal life. 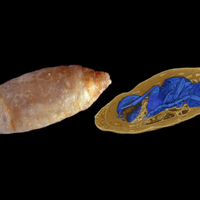 Newly identified species of fossilized parasitic wasps were found inside their hosts.